Drawing from the unprecedented success of his XM-18 folding knives, the FXM 3.5" offers the same ergonomically-driven design in a fixed blade platform. 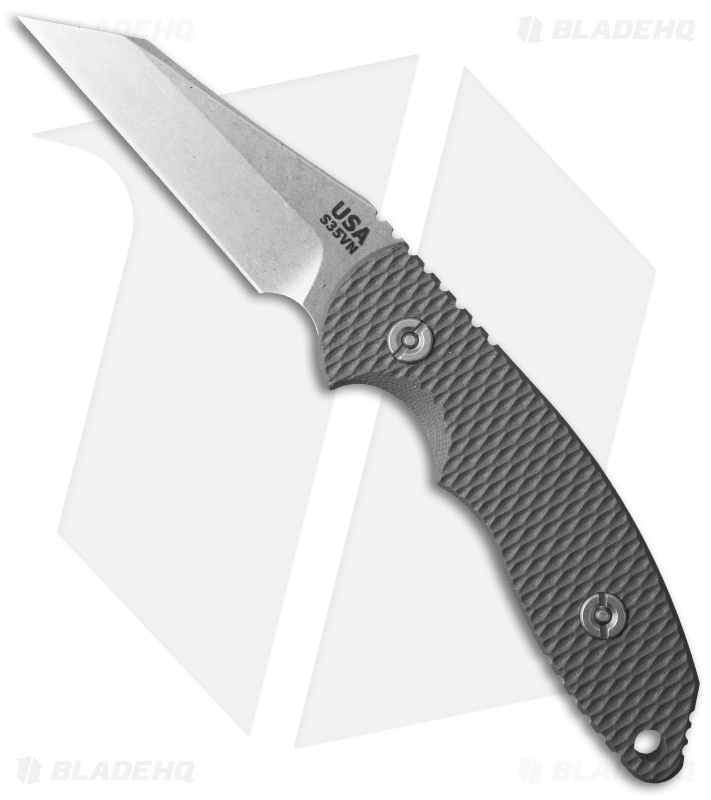 This model has a CPM-S35VN steel wharncliffe style blade in a tumbled finish and XM-textured Battleship Gray G-10 scales. 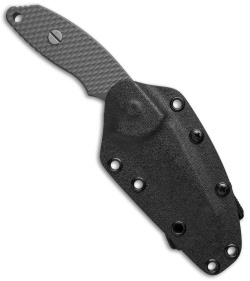 Includes a Kydex sheath with Tek-Lok belt attachment system. This is a great size for a fixed blade and it is a cheaper knife to experience hinderer.